Tough talk and trade quarrels are expected at the G7 meetings that kick off in Quebec tomorrow. In other Business news: BC Forest Practice Board audits identified problems with Gwa’Nak Resources‘ bridge construction and Canfor‘s bridge maintenance; while Kruger celebrates its Best 50 Corporate Citizen ranking. 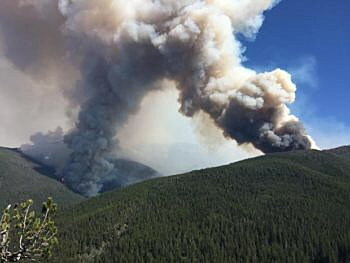 In other news: forests across the Southwest are closing due to wildfire danger; the Columbus fire chief speaks out on the wildfire urban interface, CLT is featured in Sudbury’s School of Architecture; passive house and mass timber team up in Victoria; and pollution is changing the fungi that provide mineral nutrients to tree roots in Europe. 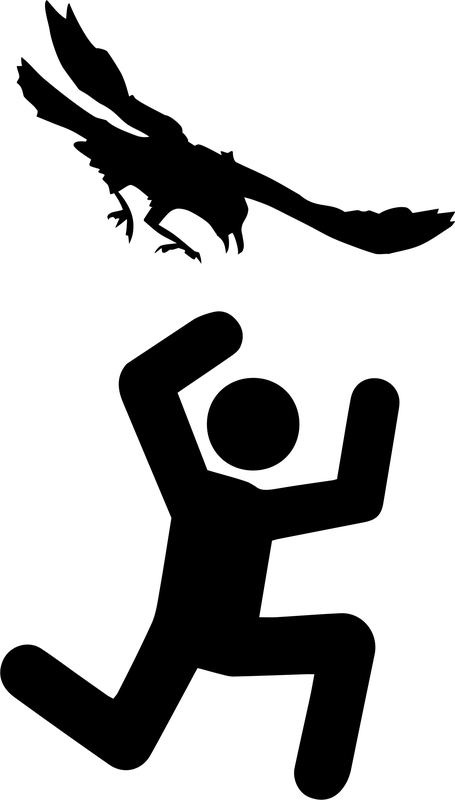 Finally, cantankerous crows are dive bombing unwary pedestrians in Vancouver’s treed areas. VANCOUVER — Cantankerous crows are dive bombing unwary pedestrians in Metro Vancouver as the annual example of avian helicopter parenting hits its height. Jim O’Leary, an instructor at Langara College in Vancouver, has been tracking crow-human interactions using an online map …and says the assaults are increasing. …O’Leary says the soaring number of reports this week suggests eggs have hatched and some of the chicks may even be fledging from the nest, making parents especially aggressive because their young can’t fly yet and are helpless on the ground for a day or two. …The attacks can be terrifying, O’Leary says, because reports on his site reveal they come from behind, without warning. ..“They are just protecting their young and they don’t realize that you, as a human, have no interest in climbing the tree and eating the eggs,” he says. President Donald Trump won’t back down on his trade and tariff dispute with U.S. allies even as Prime Minister Justin Trudeau and other leaders plot ways at the Group of Seven Summit to convince him to reverse course and head off a potential trade war. There were reports on Wednesday that the White House is discussing additional sanctions against Canada in retaliation for Ottawa’s threat to impose tariffs next month on roughly $16-billion of U.S.-made products . 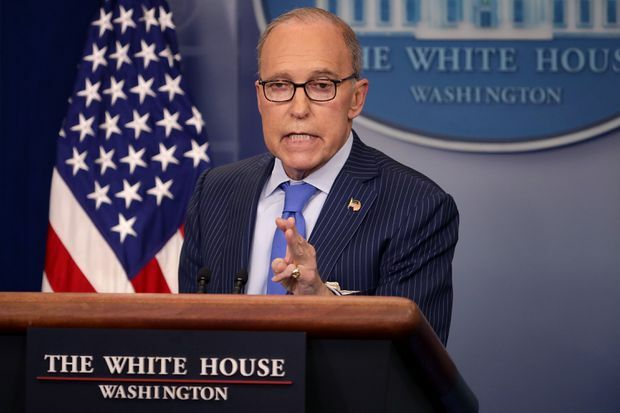 The President’s top economic adviser, Larry Kudlow, told reporters on Wednesday the trade dispute with Mr. Trudeau and the leaders of Great Britain, Germany, France, Italy and Japan is nothing more than a “family quarrel.” But Mr. Kudlow said… leaders are mistaken if they think the President can be turned against his America First trade agenda. Pennsylvania’s two United States senators officially are in disagreement over a bill aimed at suspending tariffs on newsprint imported from Canada. A spokeswoman for U.S. Sen. Bob Casey Jr., D-Scranton, cited the opposition of such entities as the United Steelworkers of America and the American Iron and Steel Institute, in saying the Protecting Rational Incentives in Newsprint Trade Act of 2018, or PRINT Act, would set a dangerous precedent if passed by Congress. …Previously, U.S. Sen. Pat Toomey, R-Lehigh Valley, joined 16 colleagues in co-sponsoring the… Act. …“It is telling,” Collins said, “that nearly all of the U.S. paper industry opposes these import taxes, including the large trade association representing the entire industry, the American Forest and Paper Association. 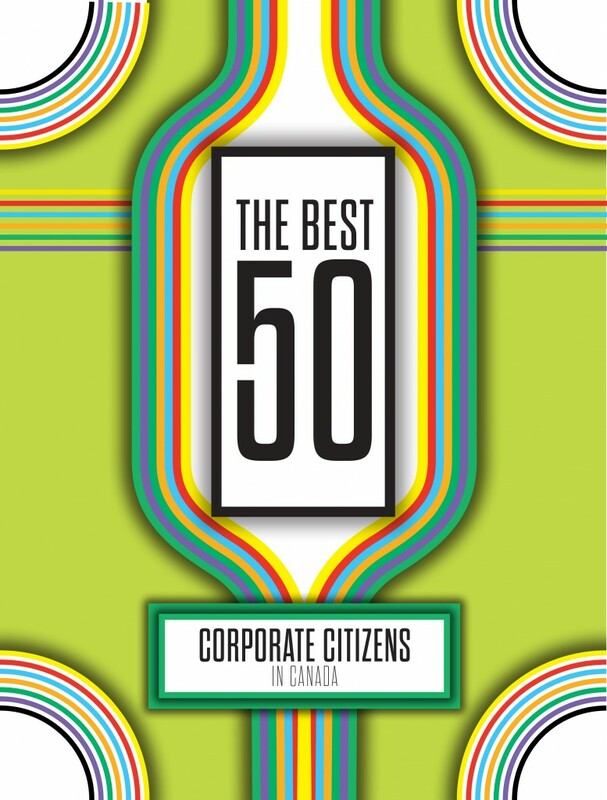 MISSISSAUGA, ON – Kruger Products L.P., Canada’s leading manufacturer of Cashmere and Purex bathroom tissue, SpongeTowel Paper Towels and Scotties facial tissue, has been named one of Corporate Knights’ 2018 Best 50 Corporate Citizens in Canada. The annual ranking of corporate sustainability performance recognizes Kruger Products’ long investment in environmental stewardship. “Kruger Products announced its first sustainable development program almost a decade ago, and we have made massive strides since. It’s an honour to be recognized for our leadership and ongoing commitment to sustainability in every form,” said Dino Bianco, CEO, Kruger Products. Corporate Knights evaluated 17 key performance indicators that include environmental, diversity, financial management, and clean revenue. The UK softwood market spluttered through May. Intermittent demand combined with late shipping arrivals compounded the effect on importers trying to move volume, but sharply increased selling prices compensated for any downturn in cubic metres invoiced. Erratic log supplies within the Baltic States kept mills on the back foot… leaving them unable to fully produce the specifications buyers have been waiting for. …From the perspective of producers in northern Europe, mills are selling comfortably and there is little if any unsold capacity – strength-graded whitewood in particular is selling out quickly. …In Sweden, domestic demand along with active markets in Denmark and Holland have driven up returns, and now the US market is becoming overwhelmingly more attractive as prices are breaking historical highs, driven by demand in excess of supply. In BC’s capital regional district, where housing prices are among the least affordable in all of Canada, the municipality of Esquimalt has given the go-ahead to a development that will offer community-oriented, Passive House–certified, market-rate condominium housing at prices middle income households can contemplate. 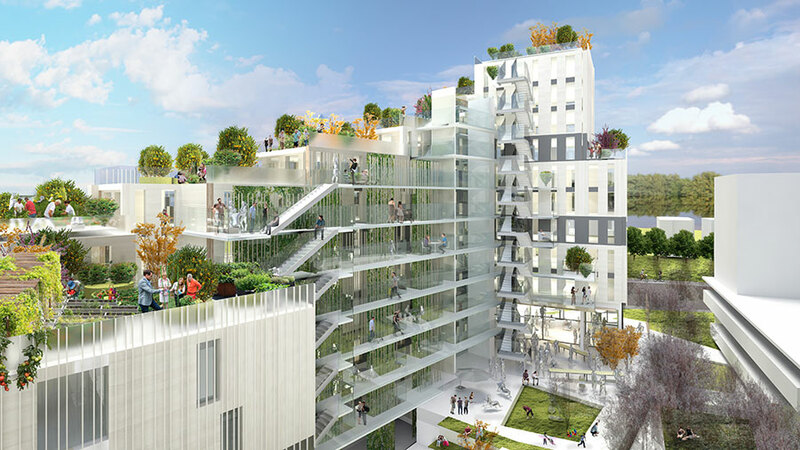 To achieve its affordability, sustainability, and liveability trifecta… the 83-unit, twelve-story development will combine prefabrication with mass-timber construction, topping out as one of the tallest wood buildings in North America. …Because the industry is still getting comfortable with mass-timber construction, the project is using panels rather than spatial modules (which would have increased efficiencies even further). And even though mass timber is not as susceptible to fire as stick framing, the timber panels will be encased in gypsum wallboard (and sprinklered) to facilitate regulators’ acceptance. From machine “deep learning” artificial intelligence for lumber grading to using near-infrared spectroscopy to sort species, speakers at OptiSaw mill automation and optimization forum gave their audience a rare glimpse into the future of sawmilling. More than 50 [participants] gathered in Richmond, B.C., for Canadian Forest Industries’ annual OptiSaw forum. The agenda covered the newest innovations in sawmill technology, and gave attendees a chance to ask manufacturers what the future holds for the industry. …Autolog’s Francis Paquin and FPInnovation’s Zarin Pirouz gave a joint presentation on the use of near-infrared spectroscopy to automatically separate wood species. “Near infrared radiation (NIR) is invisible to the human eye and harmless, and absorption rate depends on the material,” Paquin told the crowd. After decades of campaigning to save old growth forest giants on the west coast, activists are shocked that it’s still happening. Members of the Ancient Forest Alliance and other environmental groups discovered several giant trees felled this month in the Nahmint Valley near Port Alberni on Vancouver Island. The provincial New Democratic Party (NDP) government is being blamed for the action through its agency B.C. Timber Sales (BCTS). 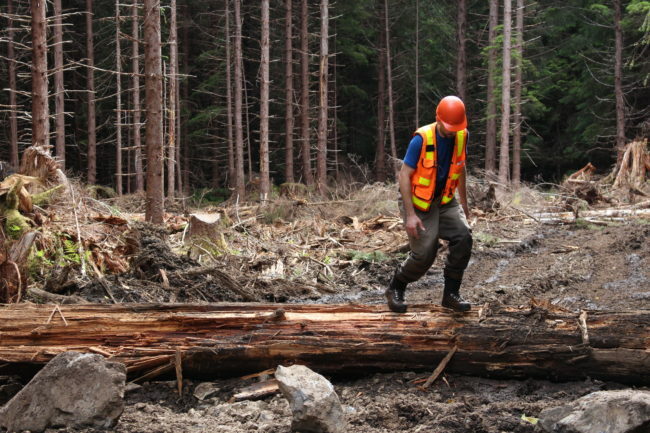 The agency auctioned off a 300 hectare section (cutblock) which includes some of the biggest old-growth Douglas Fir and western red cedar trees in the province. VICTORIA – An audit of Gwa’Nak Resources Ltd., on the B.C. central coast, has found poor bridge construction practices. However, Gwa’Nak’s operational planning, timber harvesting, road construction and maintenance,silviculture and protection activities all complied with the Forest and Range Practices Act and the Wildfire Act, as well as the Great Bear Rainforest land-use order. 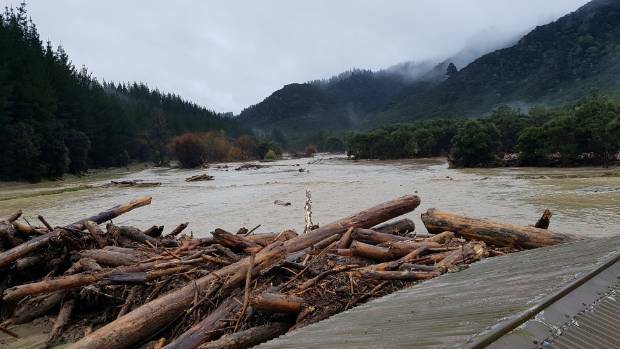 “There are standards in the Forest Planning and Practices Regulation that licence holders must meet, to ensure bridges are sound and safe for industrial users. Gwa’Nak did not meet these standards on any of the five bridges examined in the audit,” said Bruce Larson, board vice-chair. “The board is very concerned that we continue to see problems with forest road bridges, but we recognize that Gwa’Nak has responded to these findings in a positive and timely manner,” Larson said. The U.S. Forest Service won’t be facilitating a controversial old growth timber sale in the Tongass National Forest. At least, not in the immediate future. The agency received zero bids on the Kuiu Island timber sale before its closing deadline on Tuesday. The forest service tried to sell these trees in 2016, but did not receive any offers back then either — even after all of the wood was approved for export. The agency made changes to this latest version of the sale, reducing it by half and removing some of the more sensitive watershed areas. But, the sale still faces a lawsuit filed by conservation groups and a tour company over its outdated environmental analysis. Last weekend, one of the biggest chunks of public land in the Southwest closed to the public. Citing wildfire danger and the chance that people would ignore campfire bans, officials closed New Mexico’s Santa Fe National Forest—all 1.6 million acres of it—until further notice. “Under current conditions, one abandoned campfire could cause a catastrophic wildfire,” supervisor James Melonas said in a statement, “and we are not willing to take that chance.” Thanks to abysmal snowfall, nearly two-thirds of New Mexico is experiencing extreme drought. It’s a similar story across the entire Southwest. As a result, forests across the region are being closed pending rain. …Sadly, these closures will likely become more common. Climate change has dramatically increased the odds of conflagrations. …The other major problem is that a century of fire suppression has loaded American forests with dense underbrush that stokes more intense fires. Columbus fire chief Rich Cowger clicked through slides showing homes torched in a wildfire. “We think, ‘Well, in the town of Columbus, are we safe? '” he said. “Relatively speaking, (yes). Could we have something that happened like in California last year? In the right conditions, (yes).” Cowger was referring to blazes like one that destroyedmore than 1,000 structures — in December. …Large swaths of Montana are in an area called the Wildfire Urban Interface, where homes encroach on fire-prone areas, including in much of Yellowstone County. Cowger also talked about what homeowners can do to protect themselves in a new era of wildfires and how policy changes could help that — while acknowledging that it’s not easy to get everyone on board. Campaign begins to certify Spooner tree as largest single trunk Live Oak in the world! Roger Spooner’s giant Live Oak tree, located just south of Iron City in Seminole County, is considered by the Georgia Forestry Commission as a co-champion in Georgia’s Champion Tree Program along with ‘Village Sentinel’ Live Oak in Waycross. However, some believe the Spooner tree should be in a class of its own and that the co-champion status needs to be updated. On a recent visit to view the monumental botanical marvel. 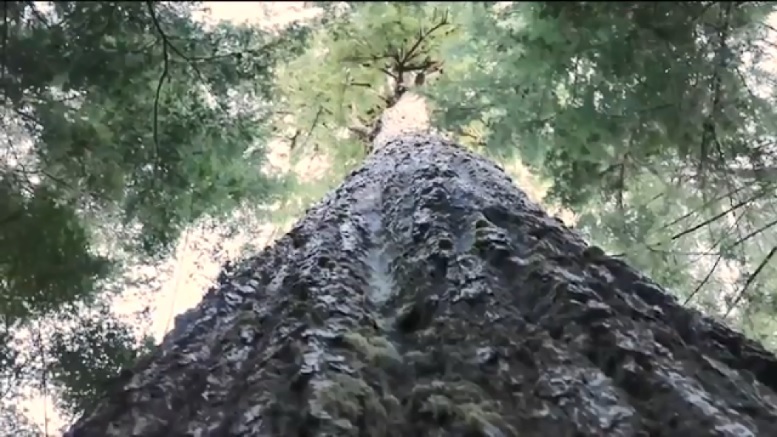 USDA Botanist Dr. Douglas Goldman commented, “This tree may be the largest tree of its kind in the world. It still shocks me every time I look at pictures of it. Anyone I’ve shown these pictures to are similarly amazed. If it’s not the national and world champion among Live Oaks it’s certainly pretty close!” This colossal Live Oak tree is like no other. It’s 89 feet tall, with a crown spreading more than 140 feet, and a circumference of 34 feet, three inches. The Georgia Forestry Commission believes the tree is more than 300 years old. It’s one thing to plant a billion trees; it’s quite another do it well. …Our future forests need to be financially viable, environmentally sustainable, and resilient. …Last week, interesting news sprang from Ireland. The European Investment Bank (EIB) announced a €12.5 million (NZ$20.8m) investment into “continuous cover forestry” projects, on the assumption of a 6 per cent internal rate of return. This is managed by the bank’s Natural Capital Finance Facility, an instrument which, like New Zealand’s forthcoming Green Investment Fund, provides tailored finance for biodiversity and climate-aligned outcomes. So what is continuous cover forestry? This is where forests are harvested incrementally, by removing individual trees or small blocks, but retaining permanent forest cover. …Public money should support projects with the greatest public benefit. Experiments in continuous cover forestry could deliver the billion trees that New Zealanders actually want to live with. Pollution is changing the fungi that provide mineral nutrients to tree roots, which could explain malnutrition trends in Europe’s trees. 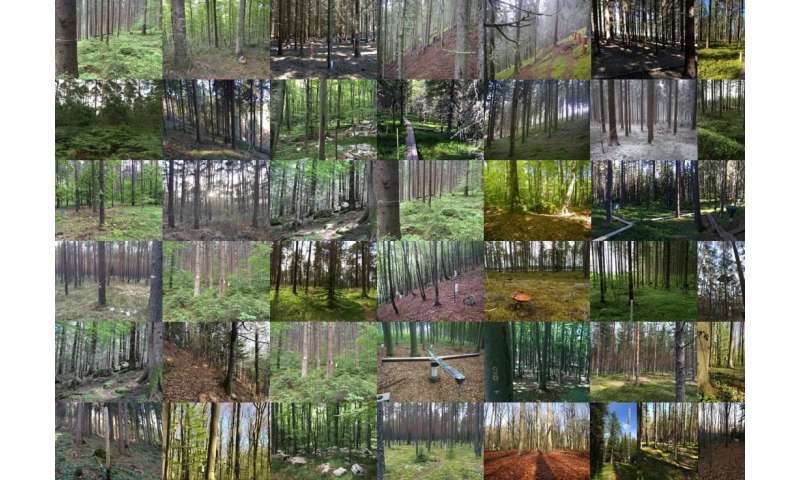 A huge study of 13,000 soil samples across 20 European countries has revealed that many tree fungi communities are stressed by pollution, indicating that current pollution limits may not be strict enough. …Recent studies have noted signs of tree malnutrition across Europe …but the mechanisms underpinning these symptoms are unclear. Now, in a ten-year pan-European study led by Imperial College London and the Royal Botanic Gardens, Kew, researchers have revealed that tree characteristics and local air and soil quality have a large impact on mycorrhizae. …A major finding of the study is that European pollution limits may be set far too high. In North America the limits are set much lower, and we now have good evidence they should be similar in Europe. 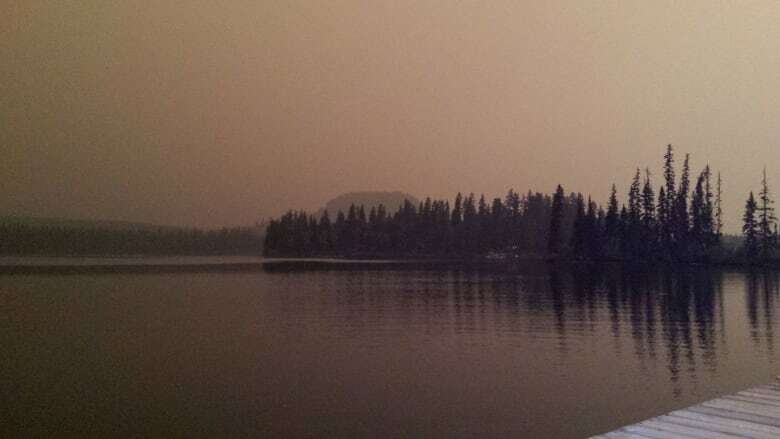 Wildfires, wood smoke and dust: forum looks at air quality in northern B.C. Although B.C.’s air quality is good compared to other places around the world, it’s an ongoing concern for many areas in the north, especially due to wildfires, says an expert. In addition to the emissions released by wildfires, residential wood burning and road dust contribute to poor air quality in northern B.C. according to Sarah Henderson, senior environmental health scientist with the B.C. Centre for Disease Control. “In a lot of ways we’re doing a great job at bringing emissions under control… then we have this looming threat of wildfire,” Henderson told Daybreak North’s Carolina de Ryk. …Henderson was the keynote speaker at the North Central B.C. Clean Air Forum in Prince George, where she discussed finding ways to continue improving air quality. Safety in any workplace is vital. It is especially important in complex industries, however, where the potential for accidents is unfortunately a reality. In these cases, employees and their families rely on the employer to ensure their safety, health and wellness, which is exactly why Northern Pulp makes workplace safety a priority for everyone, no matter their position. And it is this commitment to safety that has garnered Nova Scotia’s only pulp mill the title of the 2017 Third Safest Mill in Canada within its category (50,000-80,000 man-hours per month). This esteemed title, which is awarded every year by Pulp and Paper Canada, was revealed in the industry magazine’s spring 2018 edition. “Northern Pulp’s management team and entire workforce can all take pride in this significant safety recognition. We have created culture of safety and awareness throughout our plant”, acknowledges Bruce Chapman, General Manager, Northern Pulp.